Cosplayed Lara Croft -> Someone photographed me -> I posted the photo on my page -> Tomb Raider fan found my photo and told me about the TR cosplay group -> I joined the TR cosplay group -> Made friends in the community -> Community Manager organised a London Tomb Raider Suite concert meetup –> Attended the meetup in London -> Inspired by international fansite owners (new friends!) to create my own fansite -> Fansite went inactive but I left it up -> A local TR fan found the fansite, suggested to organise a TR movie meetup -> Movie meetup happens! 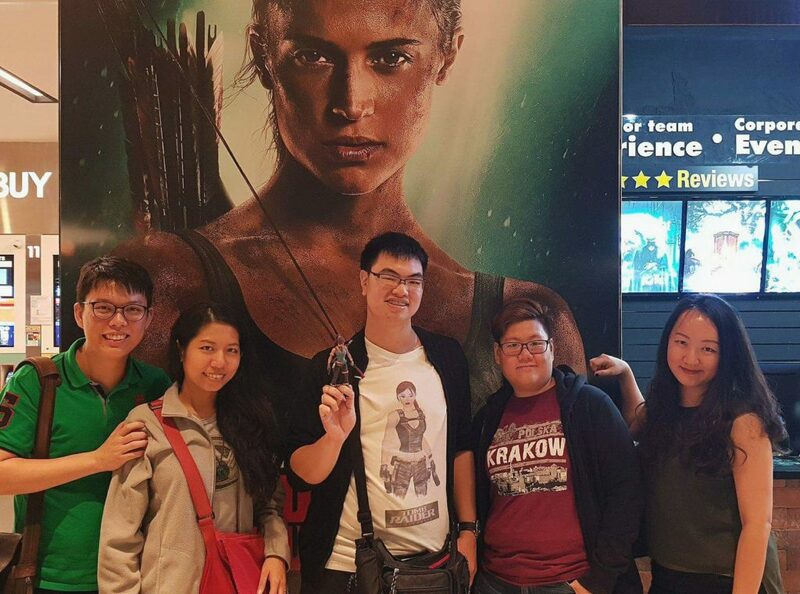 Successful movie meetup with other Tomb Raider fans! On the way home, she told me this meetup meant a lot to her. She didn’t have many friends that were TR fans, so she (“I might have been drunk”) decided to reach out across the internet and find other fans to watch with. And she found my TR fansite. Because a tiny part of me wasn’t ready to give up on it. Because other fansite owners inspired me. Because I travelled to London. Because there was a meetup. Because I had friends in the community. Because I joined the TR cosplay group. Because someone invited me to join. Because they found my photo. Because the photo was on my page. Because someone had photographed me. Because I cosplayed Lara Croft. Because all those years ago, I decided to just try. And in the present, so had she. It seems that’s all there is to it? Just go, and try. Don’t ever think your actions are too small to change the future. And if you look at my example, there were so many people involved. You never know when you’re contributing to someone else’s story too.